Come visit Orlando’s Premier Kitchen and Bath Decorative Hardware showroom filled with luxury materials and design accents. 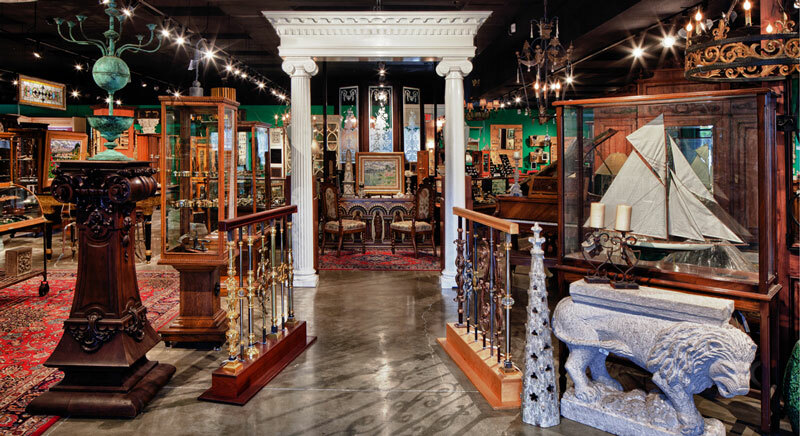 Browse our 5,700 square foot showroom near downtown Orlando, where you’ll find exceptional hardware for your newly built home or remodeling project with products from across North America and Europe. We are your source for high quality, hard to find items. Our kitchen and bath showroom has carefully designed vignettes to help you and your clients see how the bath fixtures and hardware will work together. Plumbing: Crosswater London, The Galley, THG, Phylrich, Sigma, The Furniture Guild, Bain Ultra, Blanco, Julien, Native Trails, Stone Forest, Graff, Ammara Designs, Brizo, Jaclo and more. To see all our vendors, see the menu bar above to search under Kitchen or Bath to find the items you are looking for and all our vendors are shown. Door Hardware: Fersa, Rocky Mountain Hardware, Ashley Norton, Omnia, Turnstyle Designs, Baldwin Hardware, Hamilton Sinkler, Emtek and more. To view all our door hardware vendors, click here! Cabinet Hardware: Manzoni, Schaub & Co, ALNO, Inc, Edgar Berebi, VESTA, Colonial Bronze, RK International, Omnia, Top Knobs, Emtek and more. To view all our cabinet hardware vendors, click here! Lighting & Accessory Lines: Luna Bella, Global Views, Arteriors, Mirror Image Home, JM Piers, Norwell Lighting, Nick Alain, Ayre Lighting, Ginger & Co, Sidler International, Kartners, AMBA Products, and so much more. To view our Lighting Lines, click here, and to view our Accent Items, which is ever changing, click here! Custom Sized Air Conditioning Vents and Cabinet Inserts made of steel and powdercoated to last a lifetime, from SteelCrest, an American Made product from Arizona. Custom Sized Exterior Shutters meant to endure the Florida Heat and Humidity, from Atlantic Shutter Systems, also an American Made product from South Carolina. We invite you to visit our showroom, to feel the difference quality makes. Whether you’re an architect, designer, contractor or owner, we’ll temp you with thousands of products to make your next project exceptional! Beyond the products we offer, our concierge level of service is standard for all our clients. We take care of the details for you, making the building process a little less stressful. We are extremely proud to introduce the international brand of Crosswater Bathrooms from England to Central Florida, exclusively available in our showroom. This innovative brand of plumbing hardware spans products from technologically advanced faucets to simply beautiful showers and tubs, the inspirational products are all beautifully finished to suit all bathrooms, whether for a small guest bathroom or a master bathroom. With their rich history of success in England, they bring traditional, classic, art deco and contemporary designs to our shores. We are filling our showroom with many of their designs and invite you to experience the beauty of a well designed bathroom with Crosswater Bathrooms! Visit us today to choose your favorite designs! To get a better understanding of the world of Crosswater London, take a peek into their world in the video below. To learn about all their product lines, please visit their website then contact us for a consultation where we can introduce you to your new bathroom! Are you ready for the next generation of Kitchen Design? 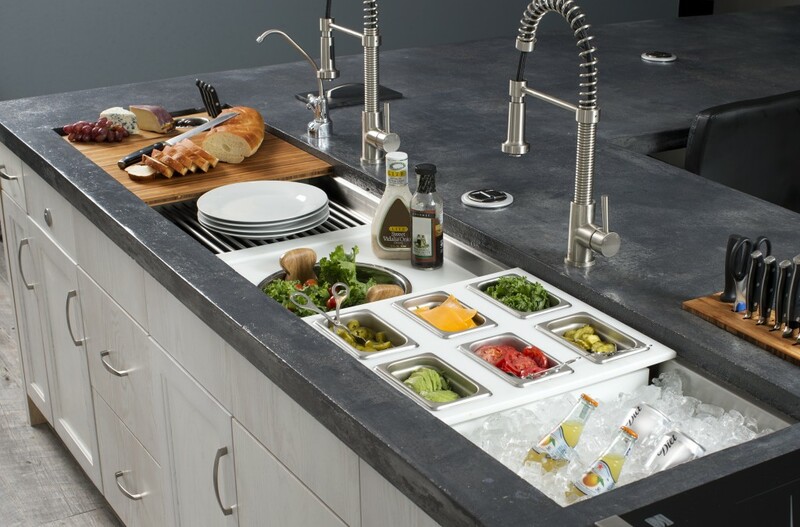 Architectural Elegance, Incorporated is proud to be the Authorized Dealer for a new, revolutionary product: The Galley Ideal Workstation™ for the Orlando area. Your kitchen design NEEDS to start here!!! Explore all that is THE Galley Kitchen today! Your cooking experience will never be the same! Galley Brand video from The Galley on Vimeo.